There was a fair amount of pondering ahead of Facebook’s press conference yesterday. We knew it would focus around news feed, and TechCrunch’s speculation was fairly close to the mark, predicting content specific feeds and ‘bigger’ photos. Zuckerberg kicked off by comparing the news feed to the personalised newspaper, and there were some pretty big implications for publishers in the announcements, but what about for PRs and marketers? This is Facebook’s attempt at a ‘mobile first’ design, with a much greater emphasis on uniformity of user experience across all platforms. Mobile traffic has been soaring for Facebook anyway, so really this is just going to emphasise the importance of considering your user’s location and device. 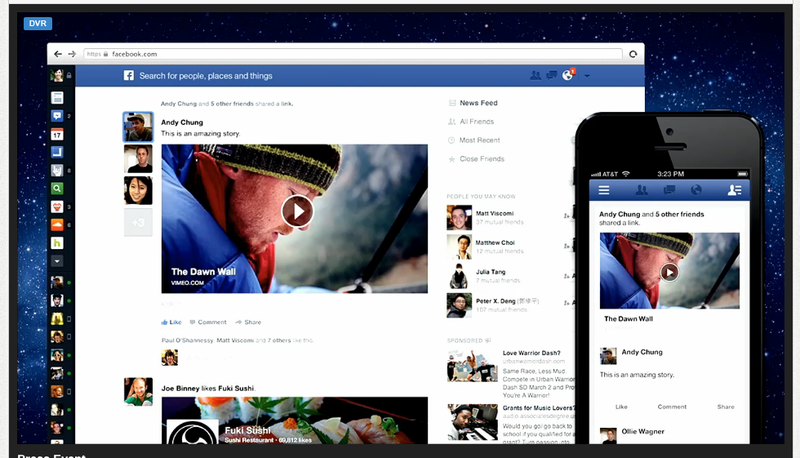 We saw those ‘bigger’ photos introduced, though Facebook clearly prefers descriptors like ‘immersive’. Images and video are going to be much more in your face, albums will be given full context and will allow brands to tell whole stories right there in the news feed. Great video and photos are going to be more important than ever. Of course multimedia content was important before, but it mattered less what it was, just that it was multimedia, due to EdgeRank. The algorithm wasn’t mentioned once during the conference, which might seem a little odd given how fundamental it has been to how news feed works. And given the customisable feeds users will now be able to select, it’s safe to say it will be holding less weight. I expect we’ll be seeing fewer brands sticking any old image on their updates for the sake of improving reach because, as mentioned, quality will matter more. Those new customisable views include chronological feeds, one of which will be for your likes and interests. This rewrites the rulebook somewhat with regards to how brands should think about timing with posts. Previously you would have a window that could be several hours in which your post might appear in a user’s news feed, depending on the wily ways of EdgeRank. Now, via the chronological feed, they may see it as soon as you post and, as with Twitter, it could disappear very fast depending on the other pages they follow, or stick around for a while if your page is one of a few. So if your page has a global audience, you now have to think a bit harder about time zones. Ian started out his career working in travel PR, working for tourist boards, airlines and hotel groups. Whilst there he carved out a position as a digital communications expert, managing social media, SEO and email marketing campaigns for clients.